Dogs breeds are groups of closely related and visibly similar domestic dogs, which are all of the subspecies Canis lupus familiaris, having characteristic traits that are selected and maintained by humans, bred from a known foundation stock. The term dogs breed is also used to refer to natural breeds or landraces, which arose through time in response to a particular environment that included humans, with little or no selective breeding by humans. 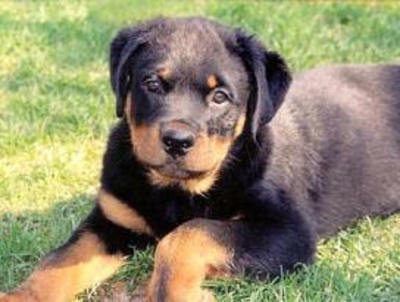 Such breeds are undocumented, and are identified by their appearance and often by a style of working. Ancient dog breeds are some of the modern (documented) descendants of such natural breeds. Dogs breeds are not scientifically defined biological classifications, but rather are groupings defined by clubs of hobbyists called breed clubs. A dog breed is represented by a sufficient number of individuals to stably transfer its specific characteristics over generations. Dogs of same breed have similar characteristics of appearance and behavior,primarily because they come from a select set of ancestors who had the same characteristics. Dogs of a specific breed breed true, producing young closely similar to the parents. An individual dog is identified as a member of a breed through proof of ancestry, using genetic analysis or written records of ancestry. Without such proof,identification of a specific breed is not reliable. Such records, called stud books, may be maintained by individuals, clubs, or other organizations. individuals who pass on characteristic traits and would likely merge back into a single homogenous group if external barriers were removed. The recognition of distinct dog breeds is not maintained by a scientific organization; they are maintained by a number of independent kennel clubs that need not apply to scientific standards and are often inconsistent. For instance, the Belgian Shepherd Dog is separated into four distinct breeds by some clubs, but not in others. Further, some groups of dogs which clearly share a persistent set of characteristics and documented descent from a known foundation stock may still not be recognized by some clubs as breeds. For instance, the feist is a hunting dog raised in the Southern United States for hunting small game. Feists have a consistent set of characteristics that reliably differentiate them from other dog types and breeds. However, the United Kennel Club recognizes one breed of feist, the Treeing Feist, while the American Kennel Club does not recognize any feist breed. A dog is said to be purebred if its parents were purebred and it meets the standards of the breed. Purebred dog breeders of today "have inherited a breeding paradigm that is, at the very least, a bit anachronistic in light of modern genetic knowledge, and that first arose out of a pretty blatant misinterpretation of Darwin and an enthusiasm for social theories that have long been discredited as scientifically insupportable and morally questionable." Morally questionable policies regarding purity of breed include obligatory surgical procedures to spay or neuter animals in numerous contexts. The American Kennel Club, for instance, allows mixed-breed dogs to be shown but requires these animals to be altered. It doesn't make such requirements for purebred dogs. California Assembly Act AB 1634 was a bill introduced in 2007 that would require all non-working dogs of mixed breed over the age of 6 months to be neutered or spayed. The bill was morally controversial, leading the American Kennel Club to fight the bill. The clear genetic distinction between breeds of dog has made dogs of specific breeds good subjects for genetic and human medical research. "Using the dog as a discovery tool" in studying how cancer affects specific breeds may lead to identifying "susceptibility genes that have proved intractable in human families and populations.